An excellent paper by Stephen Downes who talks about the connectivism course experience, personal learning environments, and gRSShopper as a prototype PLE. The concept of double-loop learning was introduced by Argyris and Schön in 1978. Argyris (1991) argues that most people define learning too narrowly as mere “problem solving”, so they focus on identifying and correcting errors in the external environment. This is what Argyris calls single-loop learning. But, in the words of Argyris: "If learning is to persist, managers and employees must also look inward. They need to reflect critically on their own behavior, identify the ways they often inadvertently contribute to the organization’s problems, and then change how they act". This deeper form of learning is what Argyris terms “double-loop learning”. Argyris and Schön (1996, p20) define single-loop learning as "learning that changes strategies of actions or assumptions underlying strategies in ways that leave the values of a theory of action unchanged", and douple-loop learning as "learning that results in a change in the values of theory-in-use, as well as in its strategies and assumptions". In other words, Argyris and Schön differentiate between learning that does not change the underlying mental models of the learner but merely revises their application scenarios (single-loop), and learning which does affect such changes (double-loop). Double-loop learning starts from a learner's mental model defined by base norms, values, assumptions, and theories-in-use, and suggests critical reflection to challenge, invalidate, or confirm the used values and theories-of-use. The result of this reflection would be a reframing of one's norms and values, and a restructuring of one's theories-in-use, according to the new settings. Double-loop learning requires self-criticism, i.e. the capacity for questioning ones norms and theories-in-use and encourages inquiry into and testing of one's actions. In my opinion, the ideas behind douple-loop learning hold several important implications for practice and research around learning and knowledge management. First, double-loop learning explains the need for self-organized learning and personal knowledge management. Second, if the concepts behind double-loop learning are applied properly, the line between learning and KM disappears. Learning and KM become then a matter of creating a freeform environment conducive to inquiry and trial-and-error; that is, an environment in which we can make connections, see patterns, reflect, self-criticize, detect/correct errors, inquire, test, challenge and eventually change our theories-in-use. Third, learning/KM cannot be achieved by a pre-determined process, such as teacher-driven learning design or linear SECI process. Pre-defined processes cannot work within increasingly complex and fast-changing environments. In complex environments, we're confronted with emerging opportunities and challenges that call for a rethinking of the theory or process-in-use in order to match the needs of the new setting. Argyris, C., Schön, D. A. (1996) Organizational Learning II: Theory, Method and Practice, Reading, Massachusetts: Addison-Wesley, 1996. Argyris, C. (1991) Teaching Smart People How to Learn. >>>>> The deadline for submissions has been extended until May, 6! transfer from basic research into practice. by the workshop's program committee. In this video, Psychologist Barry explains how "choice has made us not freer but more paralyzed, not happier but more dissatisfied". 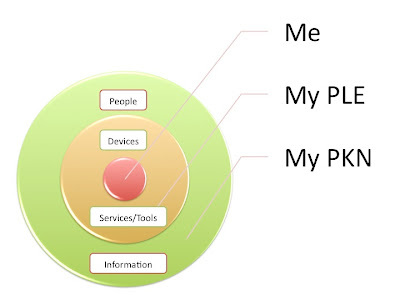 A Personal Learning Environment (PLE) is a self-defined collection of services, tools, and devices that help learners build their Personal Knowledge Networks (PKN), encompassing tacit knowledge nodes (i.e. people) and explicit knowledge nodes (i.e. information). A video of a talk by Tim Berners-Lee at the TED conference. According to Berners-Lee, the past was links from single page to single page; the future is linked data. Google released GWT 1.6 alongside with Google Plugin for Eclipse and Google App Engine for Java. We're using GWT in the PLEF and PLEM projects, and I highly recommend it for the development of your Web applications. A very interesting new book on Mobile Learning, edited by Dr. Mohamed Ally (Director and Professor at the Centre for Distance Education, Athabasca University Canada). The eBook is licensed under a Creative Commons License and can be dowloaded here. A quick explanation of Dave Snowden's Cynefin Framework by Shawn Callahan. Intention to submit: May 15, 2009. Paper submission (deadline): May 22, 2009.
management, deployment, and use of software in online environments. engineering, and open source software. In this table, I tried to compare the connectivism/LaaN perspective with dominant learning and social theories. These include behaviorism, cognitivism, (social) constructivism, situated learning, activity theory, and actor-network theory. Comments and discussions are most welcome!